Healthy-K9.com - What Is Canine Cancer & How Common Is It? 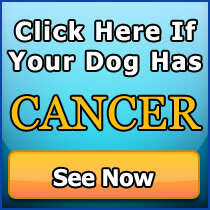 Home/Canine Dog Cancer, Featured/What Is Canine Cancer & How Common Is It? If you are reading this article after your dog has been diagnosed with some form of cancer, please accept our deepest sympathies. 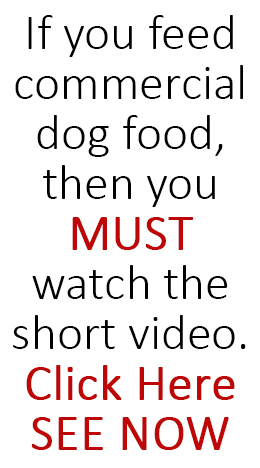 You are taking the best steps for your pet by learning as much as you can about this disease. If your dog has not been diagnosed, you are also a hero in an animal’s eyes. Your pet’s health is in your hands and education about canine disease will help you keep him or her healthy. Cancer is categorized by damaged DNA (deoxyribonucleic acid) and unusual cell growth. The body fails to eliminate these excess, damaged cells and growth continues at an unobstructed rate. The immune system fails to respond to the growth and the damaged cells continue to reproduce. As a result, excess cells form a mass called a tumor. This tumor inhabits organ functions and can be benign or malignant. Are benign dog tumors dangerous? Benign tumors do not spread or invade other parts of the body. They are classified as harmless in most cases. The worrisome ones are malignant tumors. They invade neighboring tissues and spread throughout the body. The cells of a malignant tumor are foreign and do not resemble the body’s normal cells. Metastasis occurs when the cancerous cells spread throughout the body via the bloodstream or lymphatic system. Cancer treatment is dependent upon the type of cancer, the stage of cancer, and the general health of the dog. Half of the dogs that develop cancer will, unfortunately, die from the disease. Get your copy an excellent product while your dog is still healthy and take a proactive role in extending your best friends life. 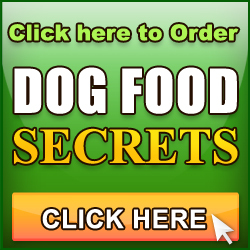 Canine Cancer SECRETS can educate you about prevention, treatment, and care for canine cancer. Yvonne, sorry to hear about Mollie’s problems. That was quite a bill. I’ve spent a lot of time with a veterinary oncologist and one of the first things he warned me was when a vet says you need this test and that, you should ask why? how necessary is it? how useful are the results because otherwise you may end up paying for tests you dont need. Also, I’ve seen him examine a dog for cancer and the first thing he did was check in the mouth to see the color of the gums because if they are pale then he knows platelet levels are low which could be a sign of cancer. If cancer is present its important you start nutritional therapy now because the cancer patient ultimately dies from extreme wasting (cachexia).